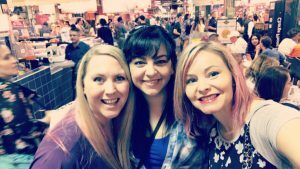 I’ve traveled to a lot of cool locations for book events, so when Gina Maxwell, Rebecca Yarros, and I were all going to be at the Indies Invade Philly signing, I saw an opportunity for a little extra time with two of my best friends. A lot of times our trips are so fast that we have to squeeze in most of our talk time between the hours of 11PM and 3AM, which then requires consuming massive amounts of caffeine later. So for this trip, we decided to fly in a day early so we could have an extra day together. Best decision EVER! The next morning, after waking up way to early, we finally made it to Philly and met Gina in the airport! After a year of not being together IRL, the group hug was epic. Here’s a snapshot at the Reading Terminal Market in downtown Philly, where you can find just about any kind of food. 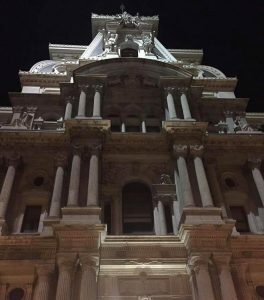 Here’s a picture Rebecca took in downtown Philly while we walked to get Pizza later that night. 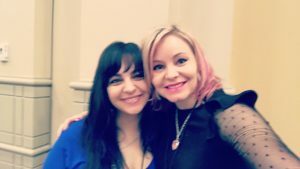 We met lots of amazing readers & authors & had a blast in Philly! And then it was time to say goodbye, & there was another group hug & it was totally sad. But more girls’ trips are in our future, & until then, we’ll chat non-stop via text, FB, & every other way we possibly can. 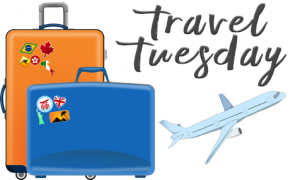 I’m so glad that I have awesome girl friends who are always down for an adventure & here’s hoping we have lots of #TravelTuesday logs in our future. 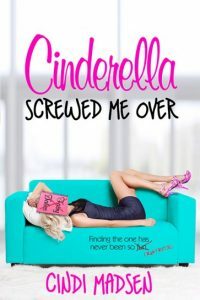 Pick up Cinderella Screwed Me Over by Cindi Madsen for only 99¢!